Hcigar T80 box mod, powered by single 18650 battery, is able to reach up to a maximum output power of 80W. Adhering to ergonomic design, the T80 Mod is to offer better user experience. 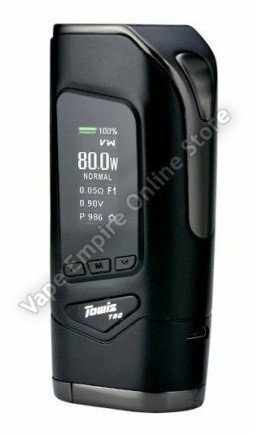 Equipped with the XT80 chip designed by Towis with 0.96" high-definition color screen, superior safety output performance and simple operation mode to enable a new health vaping experience.